Want to bulk up your print volume, reduce heat up times, increase print adhesion and prepare for inductive bed levelling?! Then this is the upgrade for you! The Prusa i3 XL Build Volume Upgrade Kit is a valuable yet affordable upgrade that allows you to expand your DIYElectronics Prusa i3 3D printer build volume to 270x250x200mm. 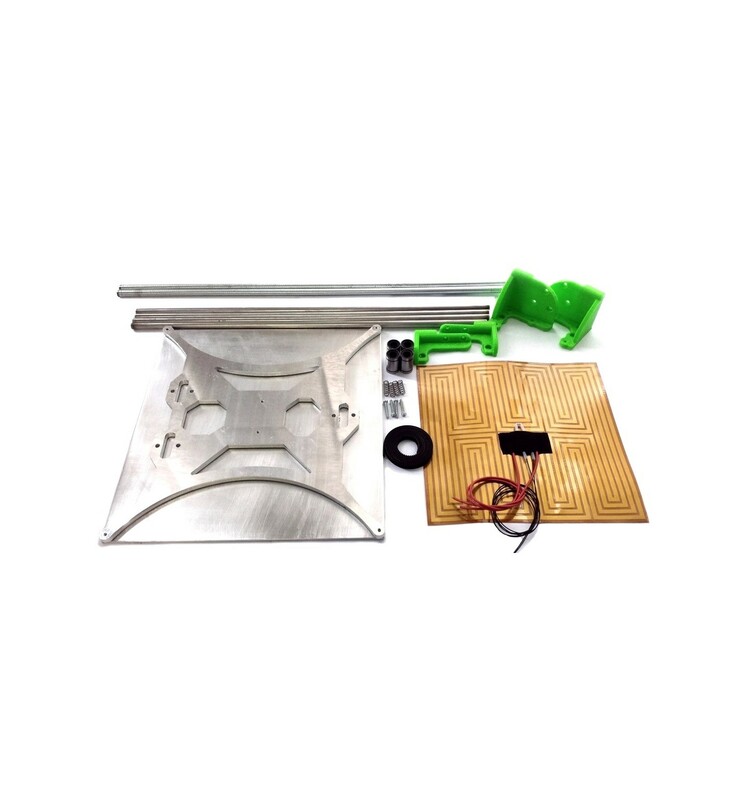 The kits also makes use of an aluminium build plate that does not require kapton or PET tape to print ABS parts, just a thin layer of ABS/Acetone solution is all that is needed ensure good part adhesion! 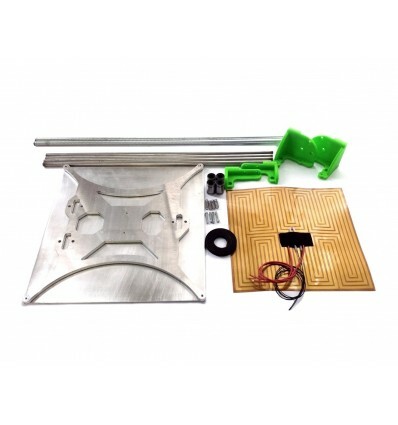 The bed also heats faster and has better thermal distribution than a glass bed, and this kit includes all of the necessary components you will need to enlarge your build volume and enjoy even bigger prints than before. Also included is an adhesive heater pad that massively reduces warm up time, as well as redesigned Z-axis mounts to accommodate the longer X-axis travel. New X and Y-axis linear shafts as well as longer M10 threaded rods are provided to extend the axis. A fresh set of bearings and springs are optional but a longer GT2 belt is included. The kit is compatible with all of our i3 kits, but if you have a T2.5 timing belt on your printer, please inform us so that we can send the compatible belt you need. Please Note: This kit is NOT compatible with our upgraded Prusa i3 with front and rear end-plates, as the rod lengths are different on those models.